16th Annual Non-Clinical Careers for Physicians,October 19–20, 2019 Chicago, IL - SEAK, Inc. If you are a physician who would like to explore the numerous non-clinical opportunities open to you, this is the conference for you. Saturday-Sunday, October 19-20, 2019 Crowne Plaza Chicago O’Hare Hotel & Conference Center, Rosemont, IL. • Learn about full time, part time, and work from home opportunities. Location/Hotel Accommodations: Non-Clinical Careers for Physicians will be held at the Crowne Plaza Chicago O’Hare Hotel & Conference Center, in the Village of Rosemont, IL. This full service “fly in fly out” property is easily accessible to Chicago’s O’Hare airport and provides complimentary 24 hour shuttle service to and from O’Hare Airport. SEAK has secured a special group rate of $149/night for single occupancy. Rooms are limited and this rate expires on October 9, 2019. To make your reservations, please call 877-337-5793 and refer to the SEAK Group rate or click here, code K19. Cancellations: Conference cancellations received in writing prior to October 9, 2019 will receive a full tuition refund. Persons cancelling on or after October 9, 2019 will receive a full tuition credit. • All main conference sessions with your choice of breakout sessions. • The opportunity to meet with employers, speakers, mentors, and recruiters. • A detailed and informative course book. Questions from Doctors Considering a Career Change, by Michael J. McLaughlin, MD. We will once again be inviting recruiters and employers to interview at the conference. Our recruiters and employers traditionally conduct many hundreds of interviews onsite and hire many of our physician attendees. Recruiters and exhibitors looking to attend should contact Alex Babitsky at (508) 457-5150 or by email at alex@seak.com. Q. How much non-clinical opportunity is out there for physicians? A. More than you can imagine. Our 40+ faculty members who are physicians working non-clinically will be providing inside information on dozens of non-clinical career paths. Your biggest challenge will likely be deciding which of many possible roads to follow. Q. Will work from home positions be discussed? How about part time roles? A. Yes, many of the fields covered offer remote based opportunities. In fact, many of our faculty work remotely. Many of the fields discussed also have part time/contract opportunities available. Q. Does the conference work? A. We have been thrilled with the enormous positive feedback we have received with numerous attendees calling their experience “life changing”. See below for hundreds of testimonials. We are also very proud that the majority of our faculty consists of conference alumni looking to pay it forward. Q. Do attendees find jobs at the conference? A. Yes! We will once again be inviting recruiters and employers to the conference. Our recruiters and employers traditionally conduct hundreds of interviews onsite and hire many of our physician attendees. Last year industries represented included pharma, consulting, insurance, education, independent review and others. Additionally, attendees find jobs through their networking at the conference. Q. How does the free mentoring/networking work? A. Attendees have the opportunity to sign up for 15 minute 1-1 mentoring sessions with our large and diverse panel of mentors. You will have numerous opportunities to network with faculty and fellow attendees during the conference. Q. What is the age of your typical attendee and why do they come to the conference? A. It runs the full range. Each year we have 375+ attendees and this will include medical students, interns, residents and physicians in their 70s. Our attendees come for many reasons including wanting to make more money, have more control over their schedule, looking for new challenges, a physical disability that prevents them from practicing medicine, or simply no longer enjoying the practice of medicine. Q. Are there opportunities for physicians without Boards, Residency or even a US License? A. Yes. Many of the fields discussed have positions that do not require current Boards (including Pharma, Consulting, Writing, Speaking, Coaching, MSL, Investments, Communications, Startups and Teaching) and some of our faculty members do not have Boards. Q. How many of the main conference attendees attend one or more of the preconferences? A. Over 50%, as the information contained in the preconferences is not covered in the main conference. 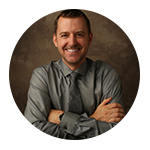 Ryan Bayley, MD is a successful physician coach. His practice (www.ryanbayleyMD.com) focuses on burnout resilience, career transition, and leadership and serves both individual physicians (and non-physicians) and institutions. Dr. Bayley is an Emergency Medicine Physician and still works clinically a few shifts each month. He received his undergraduate degree from Harvard and his MD from Vanderbilt. Dr. Bayley is a SEAK alumnus. 9:30–10:30 Introduction of the Mentors and the Recruiters. The conference mentors and recruiters will introduce themselves and briefly describe their background and areas of interest. 10:30–11:15 Break and Mentoring and Employer Sign Up Time. Attendees will sign up for individual sessions with recruiters and mentors. Heather Fork, MD, CPCC is an ICF certified coach and founder of The Doctor’s Crossing (www.doctorscrossing.com). For the past 10 years, she has been helping physicians find more fulfillment both in medicine and in non-clinical careers. In addition to coaching, she also blogs for The Doctor’s Crossing and does recruiting for several non-clinical companies. Dr. Fork ran her own dermatology practice for 9 years and is a SEAK alumnus. Lynette Charity, MD is an award-winning motivational/inspirational speaker (www.drcharityspeaks.com). Dr. Charity has presented nationally and internationally. She is an anesthesiologist and SEAK alumna with over 35 years of experience “putting people to sleep.” In aspiring to become a doctor, she met many dream smashers; people who wanted to “Squish! Squash! STOMP!” on her dream. As a young girl growing up in the segregated South, she was once told “No Medical School is gonna accept a Colored girl.” She persevered and now helps to “wake people UP” to go after THEIR dreams through sharing her story of overcoming obstacles of racial bias, gender bias and age bias. Now a sexagenarian, she has hit the Trifecta being African-American, female AND on Medicare. Dr. Charity graduated with honors from Chatham College for Women in Pittsburgh, PA, and earned her medical degree from Tufts University School of Medicine. She has practiced nationally, internationally and as a U.S. Army doctor, achieving the rank of Lt. Colonel. 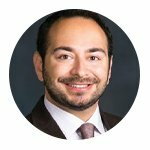 Anthony Norelli, MD is a Medical Director at Allstate Life and Retirement. Prior to joining Allstate in 2016, Dr. Norelli spent 8 years with Northwestern Mutual Life where he was trained on underwriting and claims for life, disability, and long term care. Dr. Norelli earned his undergraduate degree from Marquette and his MD from Medical College of Wisconsin. Prior to his transition to non-clinical work he was in private practice as a family practitioner. 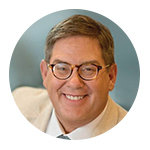 Donald M. Bradshaw, MD, MPH, FAAFP, FACHE, FAAPL is a senior Physician Advisor with Booz Allen Hamilton Inc. – a global advisory organization of 24,225 diverse, passionate, and exceptional people driven to excel, do right, and realize positive change in everything they do. Dr. Bradshaw served 32 years in the US Army and retired as a Brigadier General in 2009. His military experience includes CEO of the Southeast Regional Medical Command and CEO of the Dwight D. Eisenhower Army Medical Center. 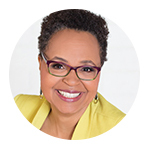 Dr. Bradshaw’s professional experience includes Vice President, Clinical Transformation for Evolent Health, Senior VP, Federal Health Operations, SAIC and Senior Partner, Healthcare for Martin-Blanck and Associates - a health care consulting company. Dr. Bradshaw earned his BS from Wheaton (Illinois), his MPH from University of Washington (Washington) and his MD from the Uniformed Services University of the Health Sciences (Maryland). 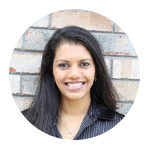 Jawaria Suhail, MD currently serves as a home based Associate Medical Director for eviCore Health. Previously, she worked as a Physician Reviewer for Anthem. Prior to transitioning, Dr. Suhail practiced Family Medicine and then later as a Hospitalist. 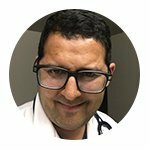 Dr. Suhail grew up in Saudi Arabia, went to medical school in Pakistan, and trained in family medicine in Chicago. Dr. Suhail is Board Certified in family medicine. She is the proud single mother of 3 children and a SEAK alumna. Andrea Paul, MD is Co-Founder and Chief Medical Officer at Board Vitals (an Inc. 500 and Crain’s 50 Company), a Start-up Advisor (health tech, medical device), Public Speaker (health, medical education, technology and entrepreneurship), and mentor/advisor to physicians wishing to pursue non-clinical activities. Board Vitals (www.boardvitals.com) - The Leader in Online Medical and Healthcare Specialty Examinations and Continuing Education - helps practitioners prepare for licensing and initial certification exams, maintenance of certification (MOC) requirements, and continuing professional education, covering more than 50 specialty areas and exams ranging from dental, podiatry, nursing, and medical areas. Dr. Paul earned her MD from Michigan State. While in residency training at Yale, Dr. Paul decided to leave clinical medicine in order to become a startup physician-entrepreneur. R ob Milman, MD is the Assistant Dean for Academic Affairs, Clinical, and Clinical Assistant Professor in the Department of Medical Education of the Texas A&M University College of Medicine. 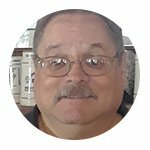 Previously, he served for 25 years as a private practice radiologist with the Austin Radiological Association in Austin, Texas. Dr. Milman has vast experience teaching CME, medical students, residents, nurse practitioner students, undergraduate pre-med students and even high school students. He is a Diagnostic Radiologist and a graduate of Brown University and Texas A&M College of Medicine. Dr. Milman is a SEAK alumnus. 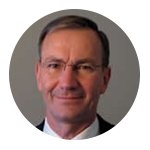 R obert Nordness, MD, MPH is the Head of Pharmacovigilance at Syndax Pharmaceuticals. Additionally, Dr. Nordness has experience in diverse roles in various-sized companies; Alexion, Boehringer Ingelheim, and Pfizer. Dr. Nordness is Triple-Board Certified (Emergency Medicine, Occupational Medicine, and Undersea and Hyperbaric Medicine). He graduated from the University of Minnesota Institute of Technology with a degree in Chemical Engineering and received his MD from the University of Minnesota Medical School. He earned his MPH from Harvard School of Public Health. Dr. Nordness served 10 years of active duty with the US Navy and remains a reserve officer. He is the former Officer in Charge of the Naval Undersea Medical Institute. Karyn L. Tapley, MD is an OB/GYN who performed locums assignments for almost 3 years while she was transitioning to her current non-clinical endeavors of running a successful and growing medical spa (Sound Women’s Health & Aestheics), real estate, financial planning, and coaching physicians. Dr. Tapley earned her BS at the University of West Florida, her MD at the University of Florida, and completed a fellowship in Integrative Medicine at the University of Arizona Center for Integrative Medicine under Dr. Andrew Weil. She is a SEAK alumnus. Shweta Patel, MD has over 10+ years of broad experience in medical marketing, communications, managed markets, and health policy. 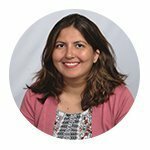 Since 2018 Dr. Patel has been with Shire Pharmaceuticals as a Senior Medical Science Outcomes Liaison - Global Medical Affairs where she is in charge of USA for all Hemophilia products. Her previous experience in industry includes an MSL with CSL Behring, focusing on coagulation, Senior Manager, Global Hemophilia Medical Marketing at Baxter Healthcare, Clinical Program Manager at Symbiotix, and Associate Medical Director at Integrated Communications Corporation. Dr. Patel earned her BA at George Washington and her MD from the Medical University of Silesia. She started her successful career in industry without completing either an internship or residency. Tom Davis, MD, FAAFP is a Board Certified Family Practice physician and a SEAK alumnus. Dr. Davis has vast non-clinical experience including consulting to health care providers on risk sharing/value contracts, consulting to venture capital firms, expert witnessing, telemedicine, and Hospice Medical Director – see www.TomDavisConsulting.com. Dr. Davis is the creator of a series of audio courses which teach physicians how to utilize telemedicine for their own benefit and also provides 1-1 mentoring in this field. Dr. Davis earned his BA, MA, and MD all from the University of Missouri – Columbia. When he was in practice, Dr. Davis was regularly named one of the Best Doctors™ in St. Louis. Joel Jacob, MD is Vice President, Scientific Strategy Director for McCann Echo, a McCann Health Company. 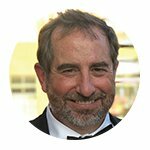 His previous experience includes Vice President, Medical and Scientific Strategy at Natrel Health, Medical Director at RevHealth, Director, Medical & Scientific Services at Evolution Medical Communications, as well as significant freelance experience. Dr. Jacob received his MD from Medical University of Silesia and later trained clinically in both Chicago and Ohio. 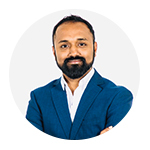 Dr. Jacob is also affiliated with the Doctor of Pharmacy Programs for Ernest Mario School of Pharmacy Rutgers University, Purdue University College of Pharmacy, and University of the Sciences in Philadelphia. Jocelyn F. Caple, MD, MBA is the CEO of Frisbie Memorial Hospital in Rochester, New Hampshire, an independent community hospital. Prior to being named permanent CEO, she was Medical Staff President, Chief Medical Officer, and later Interim CEO. Dr. Caple is a board certified pathologist who practiced for over 20 years before transitioning full time into administration. She trained at The Cleveland Clinic, earned her MD at UMass, and earned her undergraduate degree in Classical and Ancient Studies at Smith (she credits her communications skills to her liberal arts education). She has an executive MBA from UNH and is a certified mediator. Dr. Caple is a SEAK alumna. 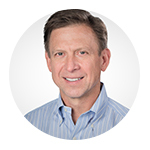 Steven W. Parkes, MD, MBA, MPH, FACEP is the President and Founder of the Clinician Coaching Institute, LLC (www.cliniciancoachinginstitute.com), where he specializes in coaching physicians experiencing burnout, and coaching with physicians taking on entrepreneurial ventures. Dr. Parkes is a board-certified emergency room physician who still works part time in the ER, and who successfully launched and departed a busy 40 physician Emergency Department practice, EMPact Emergency Physicians. 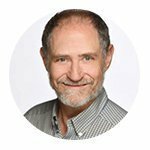 He was introduced to coaching in business school, when he was struggling with burnout, and discovered powerful transformation through the experience of being coached himself. Dr. Parkes holds four different coaching certifications and is a 15-time finisher of the Ironman Triathlon, including the world championship in Hawaii. He earned his MD from Rush, his MPH from Johns Hopkins, and his MBA from Notre Dame. He presently resides in the Chicagoland area with his family and three children. He is a SEAK alumnus. Julie Landrio, MD serves as a physician at Blue Ridge Hospice in Winchester, Virginia. 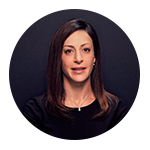 Dr. Landrio is a board-certified internist who practiced internal medicine for 20 years prior to making her transition. She earned her BS at the University of Massachusetts, Amherst and her MD at Tufts, later training through Tufts at New England Medical Center in Boston. Dr. Landrio is a 2017 SEAK alumna. 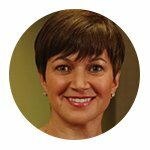 K elli Maw, MD, FAAFP, MPH is a home-based medical director with PRA, a leading Contract Research Organization. Prior to joining PRA, Dr. Maw served as a part time principal investigator/sub-investigator and oversaw more than 120 clinical trials. 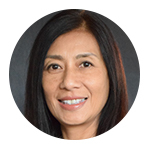 Dr. Maw earned her medical degree in Myanmar, trained in Family Medicine in Brooklyn, New York, and earned her MPH from Columbia. Dr. Maw’s professional background includes over 10 years in public health as well as working as a clinician focused on weight loss. She is the author of the book The Last Diet. Dr. Maw is a SEAK alumna. 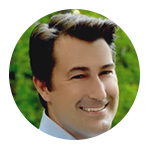 Christopher Leonard, DO, MHI is Chief Information Officer at Vohra Wound Physicians, a dynamic organization with over 250 physicians in 25 states which has developed its own proprietary and niche-specific EHR system. His experiences include strategic leverage of healthcare technologies, management of the entire spectrum of data flow with a uniquely customized team, AI and machine learning, SSOT design and implementation for more efficient health care delivery, mobile strategies, clinician documentation improvement (CDI), risk mitigation, data/predictive analysis, automated outcomes data, clinician technologic training, barriers to process and technology adoption, implementing a security risk management program, vetting and contracting syngergistic and partnering vendors, creating company-wide security awareness training and introducing the concepts of change management to company personnel. Dr. Leonard is a wound care surgeon who earned his DO at Kansas City University of Health and Bioscience and trained at the Medical College of Georgia. He recently completed a Masters in Health Informatics from Northwestern University School of Professional Studies – a 100% remote program. Kristie Baisden, DO is a Medical Officer with the Food and Drug Administration where her role focuses on drug labeling. Dr. Baisden attended SEAK in 2016 and started at the FDA in 2017. Prior to her transition, Dr. Baisden practiced OB/GYN. She earned her undergraduate degree from UNC Chapel Hill in 2003 and her DO from the Virginia College of Osteopathic Medicine. Dr. Baisden trained in OB/GYN at Georgetown. She is the proud mother of 3 small children, including one with special needs. 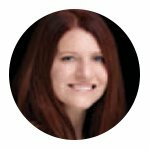 Mandy Huggins Armitage, MD is a successful medical writer who has experience both as a freelancer and as a full time employed writer. 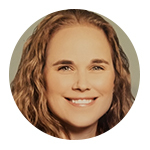 She currently serves as Director of Medical Content at Doximity, having previously been a Clinical Content Medical Writer and Medical Director for HealthLoop. Prior to transitioning to medical writing, Dr. Armitage practiced nonsurgical sports medicine. Dr. Armitage serves as a consultant for aspiring physician freelance writers and has been a faculty member for SEAK’s “How to Earn Money as Physician Writer” seminar for several years. She received her MD from Indiana University School of Medicine and her BS in Biology from Purdue. Kitty Gordon, MD is Medical Strategy Lead and Ophthalmology Center of Excellence Co-Chair at IQVIA (formerly Quintiles). IQVIA is one of the World’s largest Contract Research Organizations, having over 50,000 employees and operating in over 100 countries. Dr. Gordon is a home-based employee whose interesting and fulfilling job has her regularly interacting with clients and team members on a global basis. Prior to her transition, Dr. Gordon practiced ophthalmology for 23 years. Her most recent clinical position was Associate Professor of Ophthalmology at UNC Chapel Hill, where she served as a co-investigator in numerous clinical trials. Dr. Gordon earned her MD from Cornell and trained in ophthalmology at Cornell as well (New York Hospital-Sloan Kettering Cancer Center). She earned her BA from the University of California, Irvine. She is a 2017 SEAK alumnus. John Mendez, MD is Medical Director, Disability Management Solutions with CIGNA, a global health service company with 95 million customers around the world and more than 40,000 employees worldwide. He has vast experience in the disability field including both full time employment and contract work. Dr. Mendez also has several years’ experience performing utilization reviews. He earned his undergraduate degree from Loyola Marymount and his MD from the University of California Irvine. Prior to transitioning, Dr. Mendez practiced clinical medicine in the fields of internal medicine and occupational medicine. 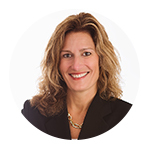 Mary E. Schultheis, MD is a full time, home based medical director with United Healthcare. Prior to moving to United Healthcare, Dr. Schultheis was first a part time, then a full time, home based physician advisor with R1RCM. Prior to her transition, she was a successful colon and rectal surgeon. Dr. Schultheis earned her BS from the University of Maryland and her MD from Creighton. She is a SEAK alumnus. 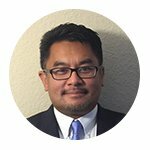 D avid Yeh, MD is a Nuclear Physician (still practices part time), Investment Systems Developer, Investment Advisor and the author of the book The Busy Doctor’s Investment Guide. After multiple requests for investment assistance he launched his business, Wealthy Doctor Institute, LLC, (www.wealthydoctorinstitute.com) which is a registered investment advisor and has been steadily growing. 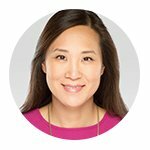 Dr. Yeh works with fellow physicians who are unhappy with their current investing strategy and helps them take back control of their finances and feel empowered. Dr. Yeh also manages the Praetorian Archimedes, LP hedge fund for qualified investors. Dr. Yeh earned his BS from Cornell and his MD from NYU. He is a SEAK alumnus. Conference Mentors You will find our faculty very giving of their time and very willing to answer your individual questions after their presentations, at the networking functions and when not presenting. To increase your networking experience and increase one-on-one attention, we have also assembled a team of mentors to be available to talk one-on-one with the attendees (at no additional charge). Brett Alberty, MD is a fellowship trained vascular surgeon who works on disability determinations as a full time employee of the Social Security Administration. (The SSA also offers contract work). In addition, Dr. Alberty conducts medical necessity chart reviews for the Arkansas Foundation for Medical Care. Dr. Alberty is a SEAK alumus. Jessica Lee Amorosino, MD, FAAP, DipABLM is the Co-Founder of MetTrimMD Beverly, a physician directed weight loss program and assists other physicians looking to start weight loss programs in their offices and communities. See www.jessleeMDboston.com. Dr. Amorosino is a SEAK alumna. 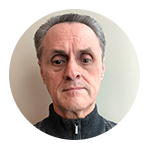 David Amos, MD is a family medicine/internal medicine physician whose non-clinical experience includes owning and operating a Japanese restaurant for 9 years and performing thousands of veteran’s evaluations. Dr. Amos served in the Marine Corps Infantry and is a 2016 SEAK alumnus. 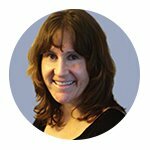 Mandy Armitage, MD is a successful medical writer who has experience both as a freelancer and as a full time employed writer. She currently serves as Director of Medical Content at Doximity and also is a consultant for aspiring physician freelance writers. Kristie Baisden, DO is a Medical Officer with the Food and Drug Administration and SEAK alumna. Prior to her transition, Dr. Baisden practiced OB/GYN. Ankush Bansal, MD is a hospitalist and SEAK alumnus with experience performing file reviews for multiple referral sources, serving as an expert witness, working locum tenens and working direct to consumer telemedicine for multiple services. Ryan Bayley, MD is a successful physician coach. His practice (www.ryanbayleyMD.com) focuses on burnout resilience, career transition, and leadership and serves both individual physicians (and non-physicians) and institutions. Dr. Bayley is a SEAK alumnus. David Best, MD, MBA is the CEO and Co-Founder of the MDea family of companies, including BESTMSLs (BESTMSLs.com), a contract medical science liaison organization, The Doctor’s Channel (TheDoctorsChannel.com), the world’s largest short form video site for doctors including CME, The Almost Doctor’s Channel (TheAlmostDoctorsChannel.com) for premeds, med students, residents and fellows, MDea (MDeaNY.com) a medical communications agency and Dr. Cruiter (DrCruiter.com) a physician placement service. 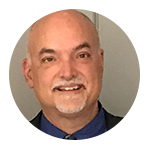 Joe Bormel, MD, MPH is an internist who has broad experience in the healthcare IT/informatics field including industry, regulatory policy, public health and independent consulting. 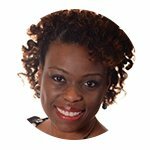 Stephanie Brown, MD is a coach who specialized in assisting professional women and physicians who feel there is something more for them in life. 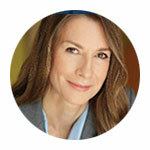 Dr. Brown is a family physician with over 20 years’ experience and a SEAK alumna. Jocelyn F. Caple, MD, MBA is the CEO of Frisbie Memorial Hospital in Rochester, New Hampshire, an independent community hospital. She is a board certified pathologist and SEAK alumna. 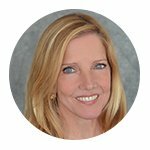 Dana C. Carpenter, MD is Senior Vice President, Director of Medical & Scientific Affairs of CDM New York, a leading healthcare advertising and medical communications agency. 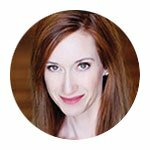 Prior to transitioning, Dr. Carpenter was the lead physician and medical director in a thriving OB/GYN practice for nearly 10 years as well as a speaker, author and healthcare consultant. Savi Chadha, MD, MPH is regional medical manager and medical science liaison with Tardis Medical Consultancy. He received his MD from St. James School of Medicine. Dr. Chadha is a SEAK alumnus. Lynette Charity, MD is an award-winning motivational/inspirational speaker. Dr. Charity has presented nationally and internationally. She is an anesthesiologist and SEAK alumna. 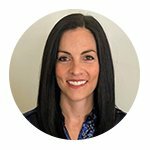 Melissa Chudnow, MD is a board certified pediatrician and allergist who is a full time home based medical director for MRIoA, a leading Independent Review Organization. She has experience as well in telemedicine, part time (contractor) utilization review, and locum tenens. Dr. Chudnow is a SEAK alumnus. Gerald Daneshvar, MD practices Urgent Care medicine in Michigan and is also a Lab Director for two Plasma companies. Directing a Laboratory is a growing field that does not require Board certification and gives experience in Patient safety and Regulatory affairs. Dr.Daneshvar is a SEAK Alumnus. Tom Davis, MD FAAFP is a Board Certified Family Practice physician and a SEAK alumnus. 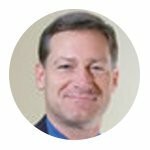 Dr. Davis has vast non-clinical experience including www.thrivetoleadmd.com to health care providers on risk sharing/value contracts, consulting to venture capital firms, expert witnessing, tele-medicine, and Hospice Medical Director. Brett Fink, MD is an Orthopedic Surgeon (Foot and Ankle Fellowship Trained) who currently works from home fulltime for United Healthcare doing preauthorizations and teaches one day per week in a hospital podiatry residency department. His previous non-clinical experience includes performing preauthorizations and disability reviews on a contract/hourly basis and earning his MBA. Dr. Fink is a SEAK alumnus. 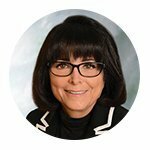 Judy L. Finney, MD, FACC has been an Associate Medical Director with Allstate Financial in Chicago since 2012 where her responsibilities mainly involve life insurance underwriting. 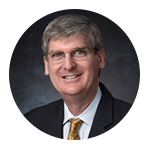 Dr. Finney is Board Certified in Internal Medicine, Cardiology, and Interventional Cardiology. 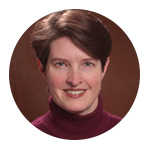 Heather Fork, MD, CPCC is an ICF certified coach and blogger. In the past 10 years through her company, The Doctor’s Crossing (www.doctorscrossing.com), she has helped hundreds of physicians find great career satisfaction and happiness in both clinical and non-clinical careers. 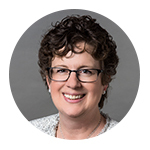 Kitty Gordon, MD is a (home-based) Medical Strategy Lead and Ophthalmology Center of Excellence Co-Chair at IQVIA (formerly Quintiles), one of the World’s largest Contract Research Organizations. She is a 2017 SEAK alumnus. Richard Hahn, MD, FACC FACP FCCP is an internist and cardiologist and a SEAK alumnus. Dr. Hahn’s non-clinical pursuits include expert witness and case reviewer for law firms, insurance companies, and Social Security Disability, as well as some intermediaries. Jacqueline Huntly MD, MPH is a career and life coach (www.thrivetoleadmd.com) who works with physicians who are looking to bring energy, purpose, passion, and joy into all domains of their career and life. James E. Hurley, II MD FACS retired from practice as a general and thoracic surgeon as a result of disability after three back surgeries. Currently, Dr. Hurley teaches nursing students (anatomy & physiology and labs) part time at Wilson College. Dr. Hurley is a SEAK alumnus. 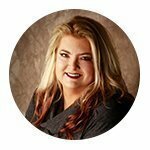 Lisa S. Jenks, MD is the owner and Medical Director of Genesis MedSpa in Colorado Springs, Colorado, which she founded in 2007. Genesis MedSpa has won numerous awards and been named a Colorado top 100 woman-owned business. Julia Pewitt Kinder, DO is a physician career consultant, medical director for a national health plan, and two-time SEAK keynote speaker (www.physiciancareeropportunities.com). She is board-certified in family medicine and practices hospice part-time. Julie Landrio, MD is a board certified internist and SEAK alumna who currently practices as a hospice physician. Zaiba Malik, M.D. is a practicing ophthalmologist who has experience teaching pre-med undergraduates specifically global health, being a STEAM educational advisor/teacher for K-12, and being a mock oral board examiner. Dr. Malik is a SEAK alumnus. Peter S. Moskowitz, MD, Executive Director of the Center for Professional & Personal Renewal (www.cppr.com), is a certified, nationally-recognized career transition and life coach for physicians, author, keynote lecturer, and workshop facilitator. His new book, “The Three Stages of a Physician’s Career: Navigating from Training to Beyond Retirement” is a top seller. Dr. Moskowitz is Clinical Professor of Radiology, Emeritus, at Stanford University School of Medicine. 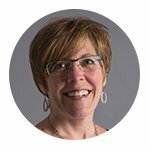 Michelle Mudge-Riley DO, MHA, RD has spent the past 10+ years mentoring and coaching other doctors in their career strategy and helping physicians with all aspects of a non-clinical transition (http://www.cppr.com). Philip E. Newman, MD is a Clinical Associate Professor of Medicine at the University of California – Irvine, where he teaches cardiology fellows. He also maintains a successful expert witness practice. Prior to his teaching career Dr. Newman practiced clinical medicine as an interventional cardiologist. Dr. Newman is a SEAK alumnus. 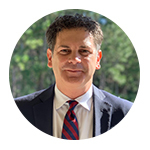 Steven W. Parkes, MD, MBA, MPH, FACEP is the President and Founder of the Clinician Coaching Institute, LLC (www.cliniciancoachinginstitute.com), where he specializes in coaching physicians dealing with burnout, and physicians running or starting their own business. He is a SEAK alumnus. Alice Rupp, DO is an internist and SEAK alumna employed with AIM Specialty Health as a senior physician reviewer in utilization management as well as a physician trainer for the job. She is also a National Faculty Member for the National Board of Osteopathic Medical Examiners for COMLEX-USA item development for physician licensure writing examination questions, checking references and analyzing statistics for question validation. 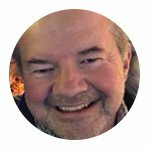 Stanley Sack, MD is a recently retired pediatrician who now works as a freelance medical writer with experience in CME, blogging, and web content marketing. Dr. Sack is a SEAK alumnus. Mary E. Schultheis, MD is a colon and rectal surgeon and SEAK alumnus. Her non-clinical experience is as a full time, home based medical director with United Healthcare and first a part time, then a full time, physician advisor with R1RCM. 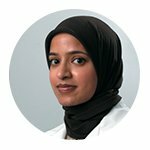 Jawaria Suhail, MD is a Board Certified Family Medicine physician who is currently employed as a home based Associate Medical Director performing utilization reviews for Evicore. Dr. Suhail is a SEAK alumna. Karyn L. Tapley, MD is an OB/GYN and SEAK alumnus whose non-clinical experience includes locum tenens, running a successful and growing medical spa (Sound Women’s Health & Aesthetics), real estate, financial planning, and coaching physicians. Jonathan Terry, DO, ABIHM, IFMCP is an employed and private practice psychiatrist whose non-clinical pursuits include expert witnessing, teaching at multiple medical schools, authoring children’s books, and consulting with non-profits and other physicians seeking to start or improve their private practices. Dr. Terry is a SEAK alumnus. Cynthia Vona DDS, MD is a recently retired occupational health executive whose final position was Executive Medical Director for a Fortune 500 Company where she was responsible for the health and wellness of over 11,000 employees. Currently Dr. Vona consults for a physician advisory company, TPA’s, and a law firm. She performs file reviews and renders expert opinions concerning disability, and causality for workers’ compensation and PIP claims. She is a SEAK alumna. 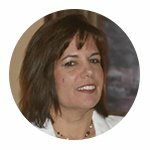 Charlotte Weeks, NCRW, CPRW is a dual-certified professional resume writer and executive career coach. She is the CEO of Weeks Career Services, Inc. (www.weekscareerservices.com) and the past president of The National Resume Writers’ Association. 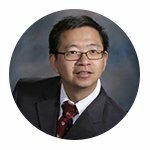 David Yeh, MD is a nuclear physician (still practices part time), investment professional and the author of the book “The Busy Doctor’s Investment Guide.” His Wealthy Doctor Institute, LLC, (www.wealthydoctorinstitute.com) is a registered investment advisor. Dr. Yeh also manages the Praetorian Archimedes, LP hedge fund for qualified investors. Dr. Yeh is a SEAK alumnus. “Thank you very much! This was truly and enriching experience! I made some new friends too."